The medical profession is a challenging sector where discretion, patience, sensitivity and an unwavering eye for detail are essential skills. Our Medical Secretary Diploma will teach you all the vital skills you need to act as a link between patient and doctor. Youll learn how to integrate the theory of highlytechnical medical terminology, complete a complex array of administrative and technical tasks, in the most accurate and timely manner, including compiling confidential letters, typing reports for patient records, assisting with medical journals and keeping the office running efficiently. Our Medical Secretary Diploma offers you the best of both worlds business and medical. Not only will you get the highest level of skills required to work for a commercial firm, youll also get the specialist expertise required to work within the medical profession. Youll be proficient in medical terminology, medical audio-typing and medical word processing. 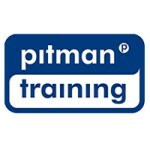 The diploma will also teach you excellent IT skills, enabling you to master Microsoft programmes. Youll also have the option to choose from an elective choice of additional subjects including health and safety essentials. Career Path Gaining this qualification will help you gain a job as a Medical Secretary. If you're keen to progress your career you could look to work in a GP practice where you could aim to become a Practice Manager or, if you prefer to work in the NHS environment, further management training could lead to an Administration Management position.